It was always a great feeling in a game of hide-and-seek to get to the point where the seeker gave up and called us in because we had been so successful in hiding. “Here I am!” in that case was a triumphant exclamation – rare in our neighborhood of expert searchers who knew all the best places to hide. “Here I am!” in the Scriptures first appears as response of a child (Samuel) to what he thought was a call from his teacher (Eli) but really was God calling. The response appears again today but with an “add-on” as the refrain from Psalm 40 where we hear the psalmist proclaim: Here I am, Lord; I come to do your will. Neither Samuel nor the psalmist is hiding. They are both presenting themselves – quite eagerly it seems – for whatever task they are called to perform. 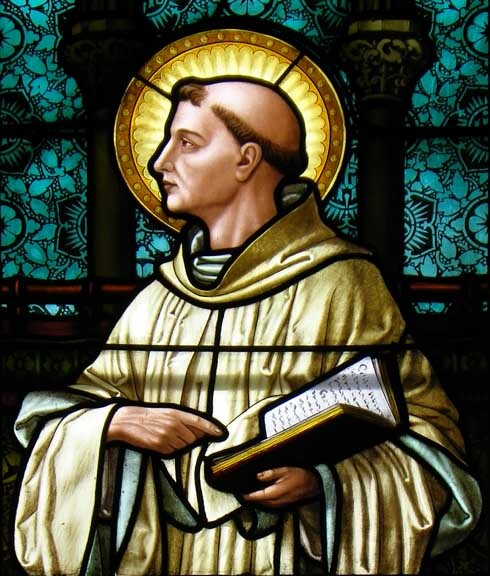 Today our Church celebrates the feast of St. Bernard of Clairvaux, a monastic who accomplished great things both for monasticism and in the world of his time (the 12th century). After a recounting of his many achievements in a short biography there is a telling sentence that reads, “Yet …he still retained a burning desire to return to the hidden monastic life of his younger days.” I found that not only admirable but instructive. His dedication to prayer in the midst of all that he was doing in God’s service was most likely the only reason that he knew what to do in any case. 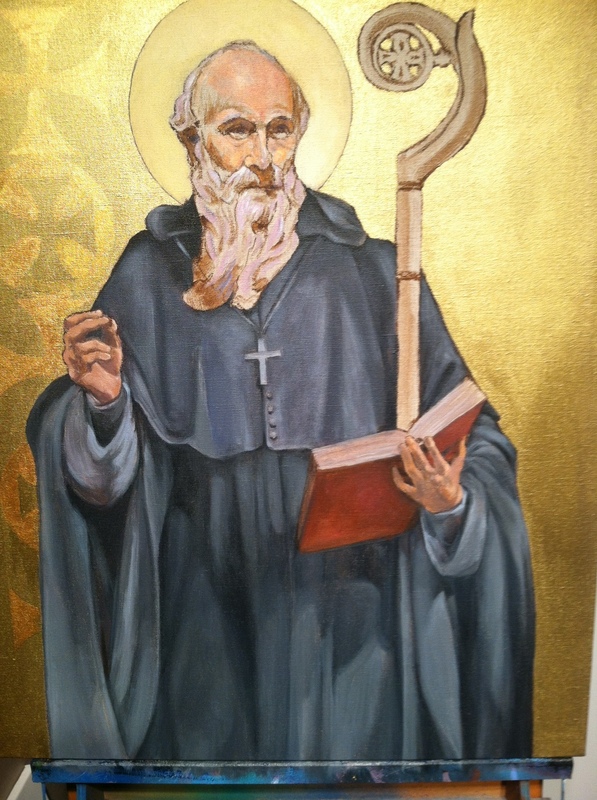 Today is the feast of St. Benedict of Nursia (480?-543) who is credited with bringing monasticism to the Western Hemisphere. Drawn to the monastic life, Benedict tried being a hermit but others were drawn to him and he began to imagine a community life where “various families of monks gathered together in one ‘Grand Monastery’ to give them the benefit of unity, fraternity and permanent worship in one house.” (www.americancatholic.org) The structure that Benedict created – a balance of prayer, study, manual labor and community – has endured and flourished for 1500 years and has become a model for people seeking to live a balanced spiritual life. 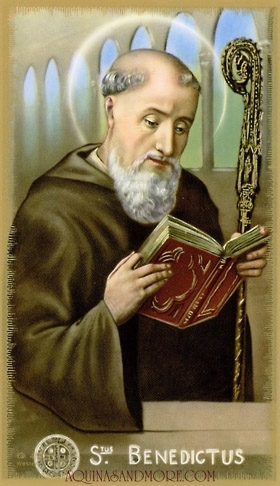 Not only is the rule of St. Benedict followed by women and men monastics the world over, but in our time there are new movements of “monasteries without walls” where lay people endeavor to live in the spirit of Benedict, gathering on a regular basis to strengthen their own prayer and balanced living practice. In addition to the four elements noted above which create a rhythm for each day, those who follow Benedict are steeped in the practice of hospitality, especially to travelers. As I face today, I am grateful for Benedict and all those who follow his rule. I will observe my living of the four quadrants of prayer, study, labor and community as they are present in my day and endeavor to maintain that sense of balance as I interact with the workshop participants who have graced our Spiritual Center this weekend.